Designed by Dennis Marquart, the O coffee table by Ox Denmarq is characterised by a filigree frame and a circular table top. 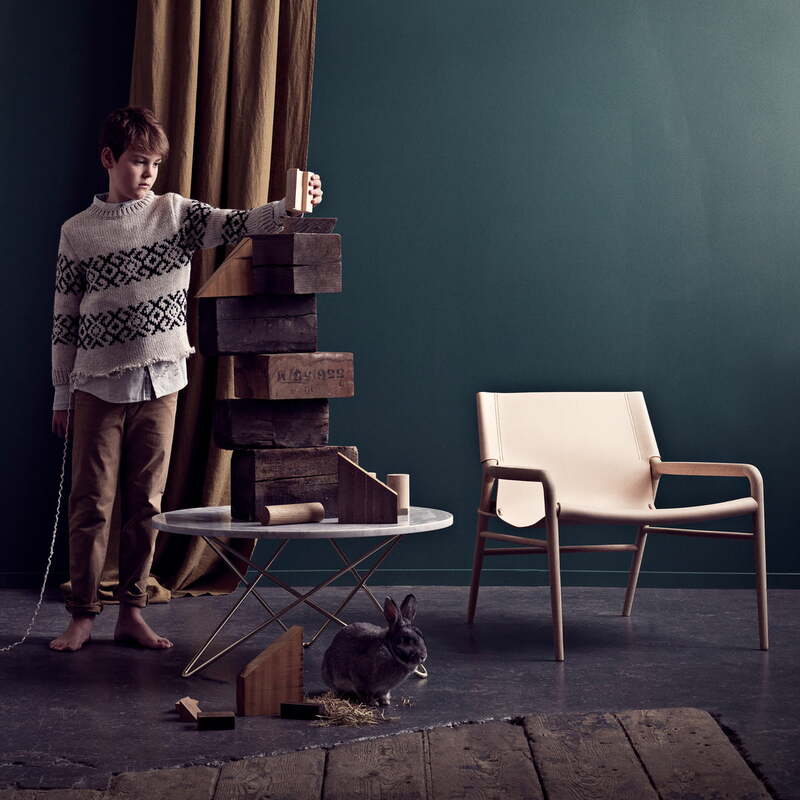 Supported by a three-legged star-shaped base, the tabletops are available in glass, marble and wood. The possible combinations changes the table's appearance and give it a different character: For instance, with a steel frame and a glass top, the table blends discreetly into its surroundings. The Carrara marble tabletop however, gives it a solid and stable expression and the tabletop made of high-quality oak offers visual warmth. Measuring 80 cm in diameter, the tabletop has enough space for books, decorations, magazines, vases, coffee cups and much more. The base is available in stainless steel or powder-coated steel. 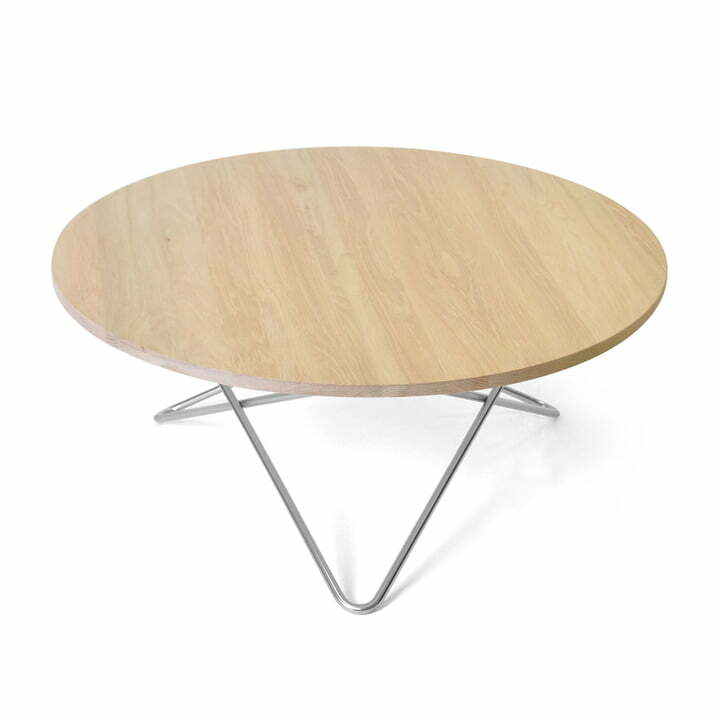 Isolated product image of the O Coffee Table Ø 80 cm by Ox Denmarq in stainless steel / oak The frame is made of stainless steel and the table top is made of oak wood. Designed by Dennis Marquart, the O coffee table by Ox Denmarq features a filigree frame and a circular tabletop in unusual materials, which makes the table a popular accessory along with the chair.